SO good to be a new story! Yes, we want to save the little brother, but with medication, not derring-do! The intro to the game is not bad. The cut-scenes are, throughout the game, not of the highest quality, but this opening does give you a good understanding of the story. There are, for my liking, a few too many cut-scenes. If they had been a bit more ‘high impact’, I probably wouldn’t’ve minded them. This is a modern-day adventure with sci-fi overtones so, appropriately, the graphics are pseudo-realistic. I don’t particularly like this style, and many would call it outdated, but if you can’t be ‘pseudo-realistic in a sci-fi, when could you? I think the graphic style is mandated by the subject matter. The sound track is well done. The special effects work, the background ‘music’ is minimalist electronica played only faintly and far away. The voiceovers are good. There is an attempt at lip sync that I feel gets close enough. A famous scientist has spent years since the loss of his wife and children (how is not yet known) developing a cure for cancer and many other ‘incurable’ diseases. On the night before the announcement to the world that he would be releasing this drug free of charge to the world an explosion and resulting fire destroys the lab. It is unknown if there are any survivors, but you meet a young woman whose brother was a special patient of the doctor/scientist. 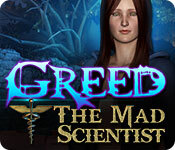 She is looking for the cure, from clues left to her by the scientist. As well, we must deal with a savage half man/ half monster, who is not happy to see us, but it seems as if he may be a product of an experiment gone wrong. What has been going on in this laboratory? A straightforward adventure, liberally sprinkles with fairly easy puzzles, this game treats the few HOPs scenes as puzzles as well. In other words, you can skip them altogether. I am sure that will appeal to some! For those who like HOPs, there are not as many as usual, and they are all interactive lists, but the graphics are clear and sharp and the objects are fairly relevant to time and place. There are a few surprises in the ‘peripherals’ as well. 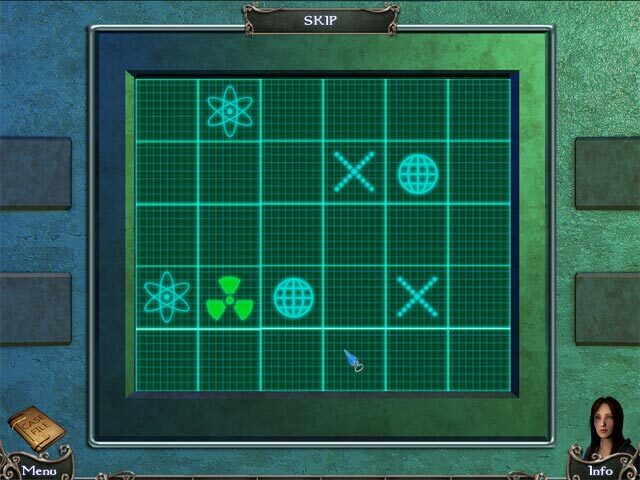 The hint button gives you an actual hint, AND allows you to choose to jump to the spot. This is good, because the map is not at all interactive. The journal contains Summary, Evidence, Map, Tasks, and Diary. There are also achievements – more than one set! First there are 14 green glowing easy-to-spot radioactive parts. And Dr Goodwin’s awards – whatever they might be – I caught a couple but I’ve no idea how. All the way through this game you are collecting mini-collections of one thing or another that have no immediate place in the story. It’s just that sort of game. I always judge stand-alone SE games more generously than ex-CE standard editions, and on that basis, this is a good game. The graphics are not of a high enough quality for a CE, so it can’t compete with them. But an excellent punchcard coupon game. JustTheFacts wrote: This is a modern-day adventure with sci-fi overtones so, appropriately, the graphics are pseudo-realistic. I usually enjoy this style so will certainly give the demo a go. Thanks for the review! Thanks for this. I was going to skip this one, but after your review I think I will try the demo. Excellent review, thanks! I've been buying every new SE that wasn't previously an CE just to use up my aging coupons. This sounds like a good one. Glad you liked the review. Sorry for the sudden disappearance, but am back now I hope! 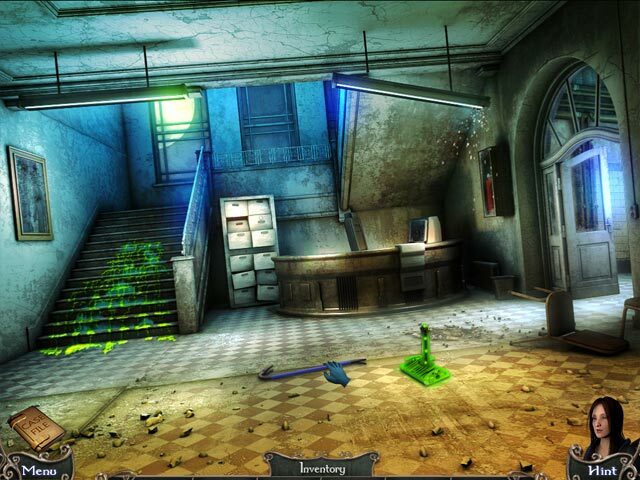 Choice of Normal, Hard or Detective Mode, and the differences are clearly marked. We do have a MAP, but it is not interactive. Still, there IS instant-transport if you choose to use a hint during the adventure portion of the game... but it will also tell you exactly what you need to do. Made up example: "We need to use the hammer to pry the safe open. Jump to location?" 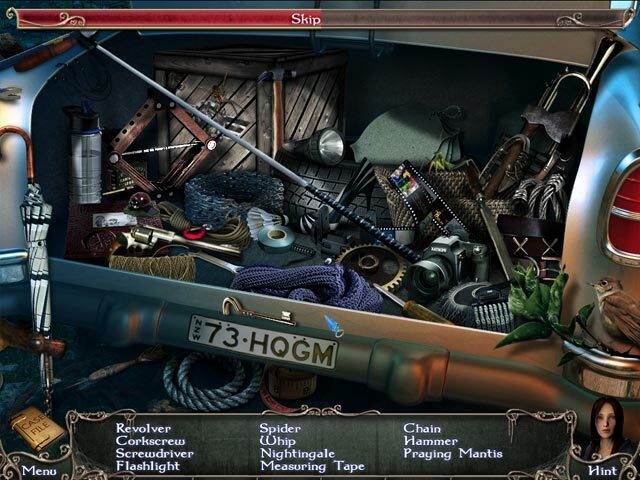 Hidden object scenes are junk-piley, but not too trashy-looking. Another departure this game makes from the norm is that you can SKIP the hidden object scenes entirely (once the meter finishes filling.) We also get THREE items to help us on our journey from each scene, which is definitely more realistic. This place has just exploded and had a raging fire, but there is no ash, no burn marks, no smoke... Not even one thing with scorch marks on it? Why can't I use scissors to open that taped box? Why in the world would I make a fire to heat up x-item - I'd burn my hand when I tried to open it, not to mention splicing LIVE wires with no gloves?!? The story is nicely-paced with tidbits that we find as we progress in the game, and we have a handy journal that tracks everything for us. This is a semi-short (under 3 hours) game when played with hints, and even shorter if you skip the HOS, I'm sure. Overall this was an enjoyable game, which I would recommend to Adventure-lite and IHOG-lovers.